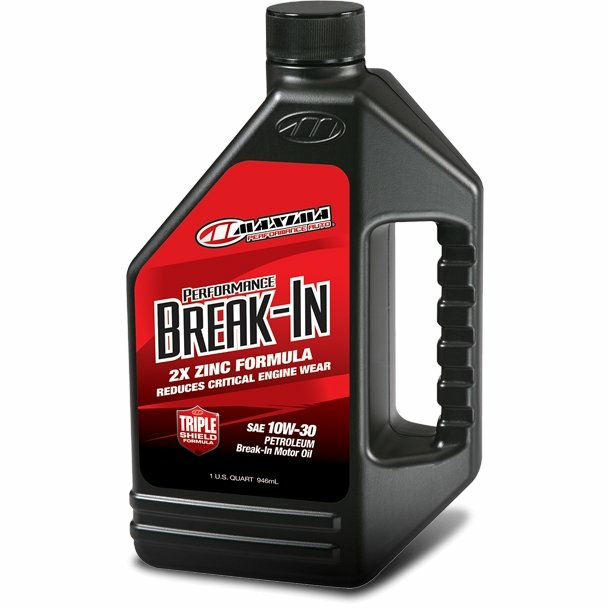 PERFORMANCE BREAK-IN OIL is specifically designed for breaking in engines with flat tappet camshafts, roller elements or where elevated levels of anti-wear additives are needed. High Zinc/Phosphorous formula is blended with highly refined, pure petroleum base stocks to provide optimum ring seal. 2X ZINC FORMULA REDUCES CRITICAL ENGINE WEAR: Complex 2X Zinc structure protects for an extended temperature range, outperforming conventional break-in oils. By combining two different zinc compounds, PERFORMANCE BREAK-IN OIL activates at lower temperatures and offers more protection at elevated temperatures.PERFORMANCE BREAK-IN OIL is perfectly balanced and requires no other additives. Dyno tests show more efficiency in the break-in phase when using MAXIMA PERFORMANCE BREAK-IN OIL.